Q3: What are some of the social issues linked to energy use? What are some of the energy-related options to address these issues? Population growth, depletion of natural resources, pollution, environmental degradation, damage to biodiversity and climate change are some of the energy usage social issues which frequently take part on the debate inlocal and global forums. With about one in every four people living with no access to electricity1, it is estimated that about 1.6 billion people experience a blackout every night. The current trend indicates tragic prognostics: it is estimated that over 1.4 billion people will still lack electricity by 20302. Cooking with utilization of inefficient pots and open fires and unsafe stoves are estimated to be the reason for the death of about 1.6 million people every year as this cooking methodology prevails in energy inefficient developing countries3. Most of these deaths account for lives of women and children3. Not having access to safe and reliable energy supply seems to be one of the great issues that jeopardize the chances of poor nations to climb out of the poverty ladder and that raises the concept of energy poverty4. The UN estimates population growth is very likely to be continuously growing up to 2050 when with 80% of chances the world population is expected to be between 9.4 and 10 billion5. That already considers a current overall trend of reduction in fertility rates. As expected, consequences such as peak water, peak fish and peak oil lead to the unsustainable concept of peak of everything6,7,8. With the inefficientfossil fuel industry and the centenary Victorian internal combustion engine intrinsically connected to the major threat of global warming9,10, it is logical to believe that persevering with the fossil fuel industry and the business as usual mindset till the last drop of oil, till the last ton of uranium or the last ton of coal is just not an option. Due to the dire consequences of the effects of global warming over what has been to date understood to be civilization, it is fair to come to the conclusion that only a rapid, efficient, world wide spread and extensive implementation of renewable energy solutions can be understood to be the path forward towards achieving sustainable development11 which, in its turn, it offers valuable tool to solve the energy utilization related social issues the world currently faces. After all, energy is one of the main enablers of improved social and economic development and a crucial agent for wealth creation11,12,13,14,15and therefore addressingenergy related social issues is paramount. Peak Everything – Waking Up to the Century of Declines – By Richard Heinberg -New Society Publishers, Hardcover, 9780865715981, 224pp. Q4: Access to modern energy is critical to the attainment of the Millennium Development Goals. Select a developing country and discuss whether the improvement in the energy situation over the last 10 years is on track and is facilitating the country’s attainment of MDGs. Availability, acceptability, affordability and accessibility1are usually listed as the four main components of energy security which is one of the fundamental tools which enable developing countries to meet the Millennium Development Goals (MDGs2). With the world’s fifth largest population3, and the seventh highest GDP3, the 202 million3 Brazilians might have placed themselves far ahead a significant number of nations when the subject is combining the security of its energy supply with the environmental challenges of being a low carbon dioxide emitter. This is a quite complex task when one considers the Brazilians have the world’s sixth largest workforce comprising 107 million people3 whom own and drive daily 68.4 million vehicles4. With hydropower responsible for more than seventy-five percent of the Brazilian energy supply mix5, the country is attributed to have achieved one of the cleanest energy supply mixes on the planet. 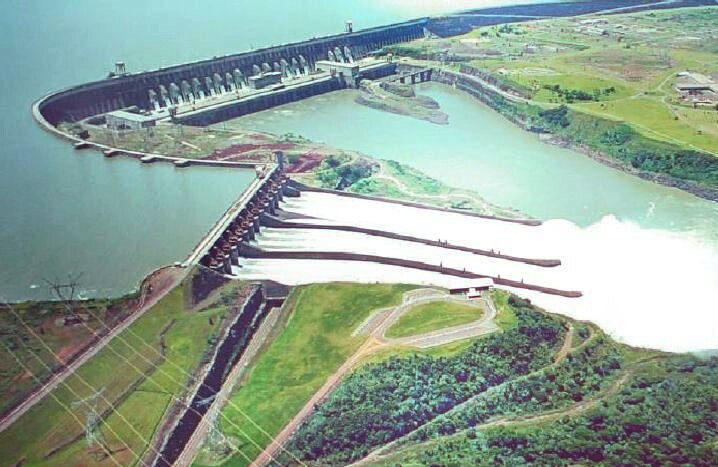 Itaipu consists of one of the drivers supporting the Brazilian quest for clean electricity in a country that improved residential electrification from 92% in 2006 to 97% in 20126. With 121 GW of installed electricity generation capacity in 2012, 82% of that was generated by renewable energy due to a combination of 77% electricity generated by hydro power plants and 5% from wind, solar and biomass combined6. On the 3rd/Oct/1953, a national campaign launched Petrobras7 which was the world’s 5th largest oil and gas operator in 2011 and in 1975 the National Alcohol Program8 (Proalcool) that was launched by the federal government in in response to the 1973 oil crisis. 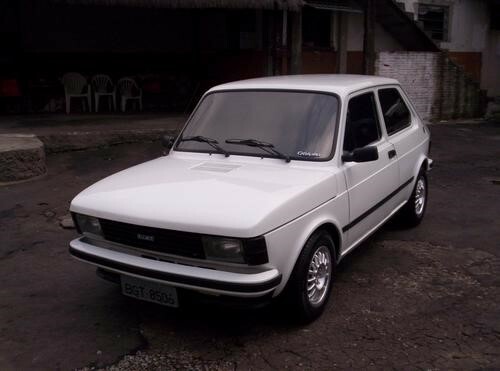 The Brazilian Fiat 147 was the first modern automobile launched to the market capable of running on neat anhydrous ethanol fuel (E100). It was developed and released in July 19799. The development of the Brazilian sugarcane industry was supported by two other important initial motivators provided by the federal government to ensure the future and sustainability of the ethanol industry: guaranteed purchases by Petrobras and subsidized loans for agro-industrial ethanol companies9. In 2003 the flexfuel engine was created by a group of Brazilian engineers who also invented the software fuel sensor (SFSTM) that makes every Brazilian vehicle produced since 2003 capable of running with any ethanol and gasoline mix. The figure below serves to demonstrate how Brazil currently tracks with regards to energy security. Figure 4: Brazil is expected to be energy self-sufficient by 20305. The data presented by figure above confirms the sharp improvement implemented by the country with regards to mitigating energy dependency, supporting the country towards achieving the MDGs and this is also combined with a relatively high implementation of renewable energy systems. Q4: Discuss this Nepal project in the light of Sustainable Development. Until the early 80’s, it seems that international aid agencies tended to favor a more holistic methodology to support unprivileged communities fighting poverty and improving living standards by addressing issues such as sanitation, access to electricity and potable water as a result of an effort of multidisciplinary teams working together with local communities1. By doing so, these international aid agencies had been capable of delivering positive results supporting such communities in the long term. With the decline of international funding for poverty relief during the 80’s and 90’s, the reduction in funding was also impacted by higher levels of control and scrutiny over not only the allocation of the scarce resources but also, driven by the necessity of delivering fast tracked returns to the local communities to be benefited by those initiatives. The rush to deliver positive results in a short fiscal year turn around was then understood to be one of the main drivers that changed the nature of poverty alleviation funding programs which since the 80’s1. Since then, these programs have been diverted from the idea of a more encompassing approach to act in favor of a punctual methodology tasked to deliver improved results in a quick one year fiscal turn. Working at the Karnali Zone1 with human development index as low as 0.244 (1996), the holistic community development (HCD) approach described by Kimber and Zahnd illustrates quite clearly the conclusion that HCD programs can deliver long term sustainable positive life changes and health improvement. Other idea reinforced by some of the references below is the importance of adapting solutions to the local social, cultural, economic, environmental context. The “contextualization” of sustainable solutions is a crucial driver to deliver successful solutions with long term benefits2. With over twenty years of field experience in the Humla area in Nepal, the ISIS Foundation and RIDS-Nepal have both shown that when implementing models such as the “Family of 4”1 comprising of pit latrine, smokeless stove with hot water tank, solar PV system for lighting and access to potable water delivers more positive results when implemented in a holistic approach which takes into account the local context. It appears that it is crucial to address relatively simple issues3 such as applying renewable energy solutions, implementing infrastructure which enables the effective delivery of basic human rights such as sanitation, access to potable water, electricity and education for women in impoverished areas. However, it is also clear these benefits can be harnessed by impoverished communities in a more effective way with longer term positive impact when local context and holistic approach are applied. And this appears to be not exclusive to Nepal, as explained by Sirolli, E4 and Moyo, D5. Q2: What were the lessons learnt from the experience of the Bangladesh project regarding the implementation, financial mechanisms, monitoring and maintenance of stand-alone PV systems in developing countries? The Bangladesh – IDCOL Solar Home Systems Project (SHS) was approved by the World Bank in 19/12/07 with closing date planned for 31/12/161. The project purpose was providing solar home systems in eligible households in off-grid rural areas in Bangladesh and supporting training, technical verifications, inspections, monitoring of related activities and outputs2. In broader terms, the project aims to improve energy services in Bangladesh by increasing access to electricity among the poor, creating an alternative to state-led energy suppliers3. As in most of the projects, the meaning of project success can relate to the different point of view of the various involved parties which collaborate to deliver it. With SHS that was not different. In one hand, implementers see success when they achieve a small number of customer complaints, when projects utilize technologies are suitable and require low maintenance levels and recalls. Consumers, on the other hand tend to qualify the project an entrepreneurial success when it offers affordable suitable solutions, based on reliable technology and supported by reasonable financing arrangements. With 158 million Bangladeshi4 consuming what in average comprises of one of the world’s lowest per capita energy consumption (0.28MWh/capita)5in 2012, energy is a critical to support the country economic development. With 66% of the population living in rural areas6in 2014, extending the electricity grid to those areas consists of a task which can take quite long time to be achieved once these areas are inhabited by the most impoverished social layers. Dipal C. Barua, Tania P. Urmee, S. Kumar and S. C. Bhattacharya, (2001), A Photovoltaic Solar Home System Dissemination Model, Progress in Photovoltaics: Research and Applications, Vol. 9, pp-313322. Q1: Biomass materials, particularly wastes and residues, are often bulky. It therefore makes sense to compact them into briquettes to increase the energy density. What factors, however, reduce the acceptability of briquetting? Biomass briquettes have the advantage of delivering increased energy density and they also facilitate transportation1. However, similarly to other biomass densification processes, briquetting require investment and infrastructure (energy) to compact the raw material to be densified and depending on how the briquetting process takes place, the final briquetted product might result in a product with poor ignitability, it could create smoking and other undesirable outcomes2,3. Biomass briquetting has a fundamental role as enabler of the economic prosperity in developing countries. Taking India as an example, a country where only about 44% of Indian rural households have access to electricity1. It is in this context that solutions such as biogas gasification can take a fundamental role in enabling rural areas to access electricity in a decentralized arrangement which relies on the characteristics of the local regions in which these solutions are to be implemented1. With biomass responsible for about 80% of the Kenyan energy usage, briquettes represent a more energy intense solution2. Issues such as lack of access to private transportation, lack of technical knowledge and competition against charcoal prices have been fundamental when understanding the levels of acceptance of the briquette making which is the theme of a study undertaken in Kenya in 20102. This study also revealed that as briquettes burn for longer, they ended up producing a less intense heat. The combination of factors above explained confirms the existence of limitations for wide spread acceptability of briquetting. Q4: Discuss the economic, environmental and social issues that would arise in larger scale Renewable Energy cooking technologies use. In the light of this discuss what is the best source of energy for rural areas in a developing country for cooking? The traditional cooking method most popular in developing countries implies in energy waste, hazardous methodologies and unhealthy standards due to the need of open fire which leads to acute respiratory infection, chronic pulmonary disease and reduced eyesight. Studies from University of California (Berkeley)1indicate that a significant one third reduction in severe pneumonia diagnoses can be achieved by installation of chimneys designed to ventilate smoke generated by cooking using cook stoves. With chimneys able to divert smoke cooking outside the households, a significant decrease in pneumonia cases has been registered as researchers have found when studying rural communities in Guatemala. The studies have also found that the amount of smoke inhaled by babies subject to cooking smoke from open wood fire stoves is comparable to having them smoke three to five cigarettes a day1. When larger scale Renewable Energy (RE) cooking technologies are applied to cooking technologies, issues such as combustion of agricultural crop and processing residues have led the application of those technologies to be previously inefficient as not all available biomass was productively utilized. Nowadays, improvements have been implemented once modern efficiency technologies by gasifying biomass and condensing-extraction steam turbines allow exporting electricity or biomass for another purposes. Alex, Zahnd , McKay Haddix, Kimber, and Komp Richard. “Renewable Energy Village Power Systems for Remote and Impoverished Himalayan Villages in Nepal.” Paper presented at the Proceedings of the International Conference on Renewable Energy for Developing Countries, Nepal, 2006. Boyle G. Renewable Energy. New York: Oxford University Press, 2004. Brijesh, Mainali, Pachauri Shonali, D. Rao Narasimha, and Silveira Semida. “Assessing Rural Energy Sustainability in Developing Countries.” Energy for Sustainable Development 19 (2014): 15-28. Buljit, Buragohain, Pinakeswar Mahanta, and Vijayanand S. “Biomass Gasification for Decentralized Power Generation: The Indian Perspective.” Renewable and Sustainable Energy Reviews 14, no. 1 (January 2010): 73–92. Cherp A., and Jewell “The Concept of Energy Security. Beyond the Four As.” Energy Policy 75 (2014): 415–21. Dipal C., Barua, Tania P. Urmee, Kumar , and Bhattacharya S. C. “A Photovoltaic Solar Home System Dissemination Model.” Progress in Photovoltaics: Research and Applications 9 (2001): 313-22. Elkington, John The Zeronauts: Breaking the Sustainability Barrier Routledge, June 21, 2012. Friedman, Thomas. Flat, Crowded and Hot. United States: Farrar, Straus and Giroux, September 8, 2008. Fuller, R.J. , Zahnd A., and Thakuri S. “Improving Comfort Levels in a Traditional High Altitude Nepali House.” Building and Environment 44, no. 3 (2009): 479-89. “Bangladesh: Solar Home Systems Reach 2 Million Households.” https://www.gpoba.org/node/700. Giacomazzi, Eduardo “A Brief History of Brazilian Próálcool Programme and Developments of Biofuel and Biobased Products in Brazil.” OECD – Global Forum Biotechnology, http://www.oecd.org/sti/biotech/Giacomazzi.pdf. Global Village Energy Partners (GVEP) International. “Kenya Briquette Industry Study.” http://www.gvepinternational.org/sites/default/files/kenya_briquettereport_2010.pdf. “Rural Electrification and Renewable Energy Development – Shs Project.” https://www.gpoba.org/project/P119549. Grantham, Jeremy “The Peak of Everything.” http://www.gmo.com/websitecontent/JGLetterALL_1Q11.pdf. Heinberg, Richard. Peak Everything – Waking up to the Century of Declines. New Society Publishers, n.d.
IEA Bioenergy. “Municipal Solid Waste and Its Role in Sustainability.” http://www.co.la-crosse.wi.us/solidwaste/docs/40_IEAPositionPaperMSW.pdf. INTERNATIONAL ATOMIC ENERGY AGENCY and UNITED NATIONS DEPARTMENT OF ECONOMIC AND SOCIAL AFFAIRS. “Energy Indicators for Sustainable Development: Country Studies on Brazil, Cuba, Lithuania Mexico, Russian Federation, Slovakia and Thailand.” https://iaea.org/OurWork/ST/NE/Pess/assets/07-23753_energyindic_small.pdf. International Development Association. “Global Partnership on Output-Based Aid Grant Agreement: Rural Electrification and Renewable Energy Development Project in Bangladesh.” https://gpoba.org/sites/gpoba/files/GrantAgreements/GPOBA%20SIDA%20Bangladesh%20SHS%20Grant%20Agreement.pdf. International Energy Agency. “Bangladesh: Indicators for 2012.” http://www.iea.org/statistics/statisticssearch/report/?country=Bangladesh&product=indicators&year=2012. ———. “Energy for All: Financing Access for the Poor: Special Early Excerpt of the World Energy Outlook 2011.” http://www.worldenergyoutlook.org/media/weowebsite/energydevelopment/weo2011_energy_for_all.pdf. ———. “World Energy Outlook.” http://www.worldenergyoutlook.org/media/weowebsite/2008-1994/weo2002_part1.pdf. Ministry of Mines and Energy – MME. “Brazilian Energy Balance.” EPE – Empresa de Pesquisa Energética, https://ben.epe.gov.br/downloads/Relatorio_Final_BEN_2013.pdf. Moyo, Dambisa. Dead Aid: Why Aid Is Not Working and How There Is a Better Way for Africa. London: Penguin Books Ltd, 1 October 2010. Pintér, László, Hardi Peter, Martinuzzi André, and Hall Jon. “Bellagio Stamp: Principles for Sustainability Assessment and Measurement.” Ecological Indicators, 17 (2012): 20-28. RADHE GROUP. “Radhe Biomass Briquette Machine.” http://www.biomassbriquetting.com/product.php. RUF Briquetting Systems. “Adding Value: Quality Down to the Smallest Detail.” http://www.briquetting.com/briquetting-systems/. Rural Intergrated Development – Nepal. “Hcd and the Role of Contextualized & Re Technologies in Improving Health Conditions in Nepal with Ppt.” http://www.rids-nepal.org/index.php?option=com_docman&task=cat_view&gid=173&Itemid=32. ———. “Rids-Nepal at a Glance.” http://www.rids-nepal.org/. Scheer, Hermann. The Energy Imperative: 100 Percent Renewable Now. Routledge, February 10, 2012. Shadekul M. F., and Talukder Islam. “Impact Assessment of Biogas Plants: A Case Study in Bangladesh.” http://www.lgedrein.org/archive_file/Shadekul_%20Impact%20Assessment%20of%20biogas%20plants.pdf. Sirolli, Ernesto Ripples from the Zambezi: Passion, Entrepreneurship and the Rebirth of Local Economies Community Works! 2 ed. : New Society, 1999. ———. “Want to Help Someone Shut up and Listen.” https://ted.com/talks/ernesto_sirolli_want_to_help_someone_shut_up_and_listen#t-79505. Tania, Urmee, David Harries, and August “Issues Related to Rural Electrification Using Renewable Energy in Developing Countries of Asia and Pacific.” Renewable Energy 34 (2009): 354–57. “Amory Lovins: We Must Win the Oil Endgame.” https://www.youtube.com/watch?v=kMTCNOlozTA. The World Bank. “Percentage of Population in Rural Areas (in % of Total Population).” http://data.worldbank.org/indicator/SP.RUR.TOTL.ZS. ———. “Projects & Operations: Bangladesh – Idcol Solar Home Systems Project.” http://www.worldbank.org/projects/P107906/bangladesh-idcol-solar-home-systems-project?lang=en. To, L.S., Alex Zahnd, and Renete Riek. Enhancing Capacity for Solar Photovoltaics in Rural Nepal. World Renewable Energy Forum, Denver, 15th May 2012. UNICA and ApexBrasil. 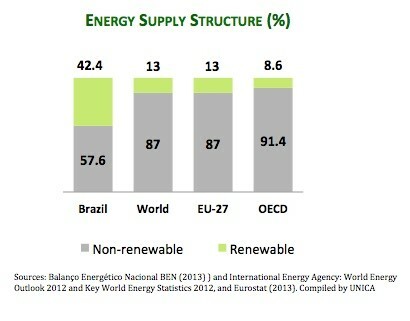 “Brazil’s Diverse Energy Matrix.” http://sugarcane.org/the-brazilian-experience/brazils-diverse-energy-matrix. United Nations. “The Millennium Development Goals Report.” http://www.un.org/millenniumgoals/2014%20MDG%20report/MDG%202014%20English%20web.pdf. United Nations and IAEA. “Energy Indicators for Sustainable Development.” http://www.iaea.org/OurWork/ST/NE/Pess/assets/0723753_energyindic_small.pdf. United Nations, Department of Economic and Social Affairs, Population Division “World Population Prospects: The 2015 Revision, Key Findings and Advance Tables. .” http://esa.un.org/unpd/wpp/Publications/Files/Key_Findings_WPP_2015.pdf. United Nations Publications. “Energy Access in Developing Countries.” http://www.undp.org/content/dam/undp/library/Environment%20and%20Energy/Sustainable%20Energy/energy-access-situation-in-developingcountries.pdf. University of California – Berkeley. “Woodsmoke from Cooking Fires Linked to Pneumonia, Cognitive Impacts.” ScienceDaily, http://www.sciencedaily.com/releases/2011/11/111110191948.htm. Urmee, T., and Harries D. “The Solar Home Pv Program in Fiji E a Successful Resco Approach?”. Renewable Energy 48 (2012): 499-506; . ———. “A Survey of Solar Pv Program Implementers in Asia and the Pacific Regions.” Energy Sustain. Development (2009). Urmee, T., and Harries “Determinants of the Success and Sustainability of Bangladesh’s Shs Program.” Renewable Energy 36 (2011): 2822-30. “Automotive Industry in Brazil.” https://en.wikipedia.org/wiki/Automotive_industry_in_Brazil. ———. “History of Ethanol Fuel in Brazil.” https://en.wikipedia.org/wiki/History_of_ethanol_fuel_in_Brazil. World Bank Industry and Energy Department. “A Comparison of Lamps for Domestic Lighting in Developing Countries.” http://www-wds.worldbank.org/.